Drop shipping is a method of delivery in which a customer purchases a product online with a merchant, but the customer receives the product directly from the manufacturer. This method has gained popularity recently, particularly with the advent of online diamond shopping – websites like Bluenile.com or Jamesallen.com use this method extensively to save money on shipping expenses. While this setup can be beneficial to smaller retail shops, internet-only storefronts, and catalogue-based sales, it is quite risky for customers purchasing loose diamonds online. 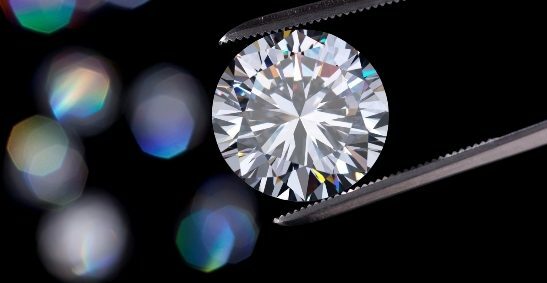 Many online diamond retailers boast they have 70,000 to 100,000 diamonds in their database, but truthfully, none of those retailers own the diamonds in question, much less have them in stock – or have even seen them. Thus, the quality of the stones cannot be guaranteed. In this scenario, the customer is grossly disadvantaged – some retailers have mistakenly sent loose diamonds that don’t match diamond reports once taken to a gemologist. Although we now provide all consumers with the highest quality jewelry, engagement rings, and loose diamonds, we originally started out as a diamond wholesaler, selling diamonds to local jewelry retailers. As more consumers began purchasing diamonds online, Brilliance.com was created as a means of offering certified diamonds at the same competitive prices we’d always offered as wholesalers. At Brilliance we don’t drop ship loose diamonds. Rather we receive every diamond into our offices and keep tight quality control by having each one visually inspected prior to shipment by our Master Gemologists. Customers can browse our selection in a pressure-free, convenient environment online, and can be confident in the quality of their purchase. Additionally, visual inspection can be conducted by our diamond and jewelry experts to verify appearance and quality before a purchase is even made.